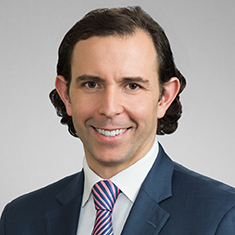 Michael Chiusano focuses his practice on mergers-and-acquisitions litigation and general complex commercial litigation, including litigation arising from closely held business disputes and tortious-interference, misappropriation-of-trade-secret, and fiduciary-duty claims. Michael is well-versed in construction litigation involving mechanic’s and materialmen’s lien disputes, defending sureties against performance- and payment-bond claims, and prosecuting indemnity actions on sureties’ behalf. He has represented national banks in litigation stemming from residential mortgage loans, including wrongful foreclosure, debt-collection-practices and lien-priority matters. While in law school, Michael served as a senior articles editor for the Environmental Law Journal and on Moot Court Executive Board. Shown below is a selection of Michael’s engagements.